I'm going to school tomorrow for the enrollment and I hope everything's gonna be fine. Phew. 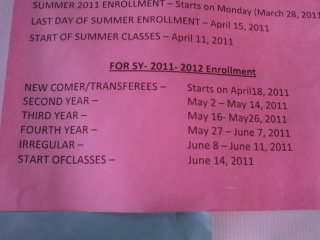 And here's the schedule of enrollment for this year. I'm really excited to go back to school. Someone promised me that if I got good grades, I'll have a DSLR for free, as a graduation gift ofcourse. ^_^ (I promise I'll study hard!) And here's the subjects I'm going to take. 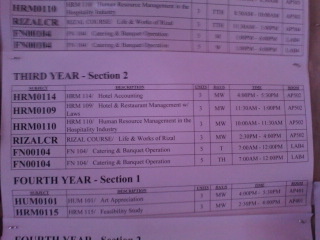 I'm not yet sure with my section, it's either HR1 or HR2, perhaps it depends on the schedules. Oh! 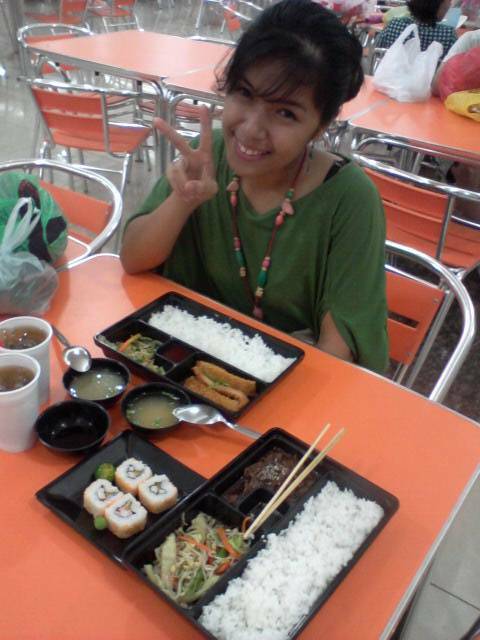 Yesterday, me and my bestfriend Soh went to Manila, just for a visit and to buy some stuffs (and for experience too). I travelled for almost a day, that's why I felt so exhausted. 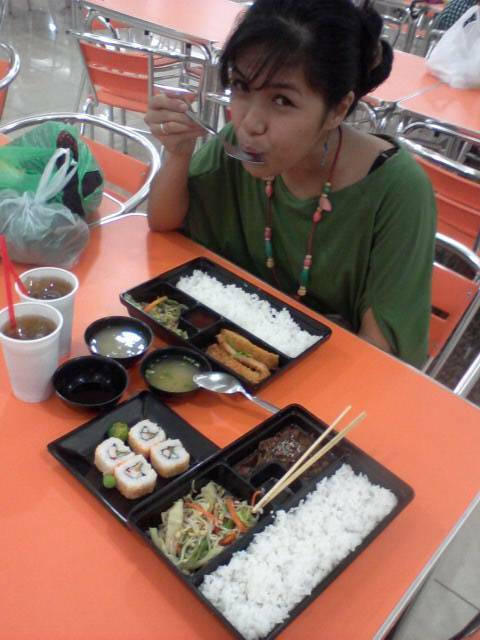 We ate on a Japanese Restaurant in Binondo Manila. My bestfriend doesn't want to show her beautiful face, so, just enjoy my look! Haha! That's pork tonkatsu (mine on bento) and I forgot the other one. :P I actually don't have any cash except for the 100 peso bill ($2) my Mom have given me before I depart. Haha! Yet I survived! And I'm still alive! Hurray! That's the exhausted me. My cam didn't work so we used my phone's camera. I'm going to recite the Philippines' Board members, as well as the senators cause I have a Civil Service Examination on Sunday. So yeah, that's it for today. I'll update again, if not tomorrow, I guess, it'll be next week. Haha! OMG you are so. pretty. Wow! Ang nice naman ng Japanese food mo. Nagutom tuloy ako.